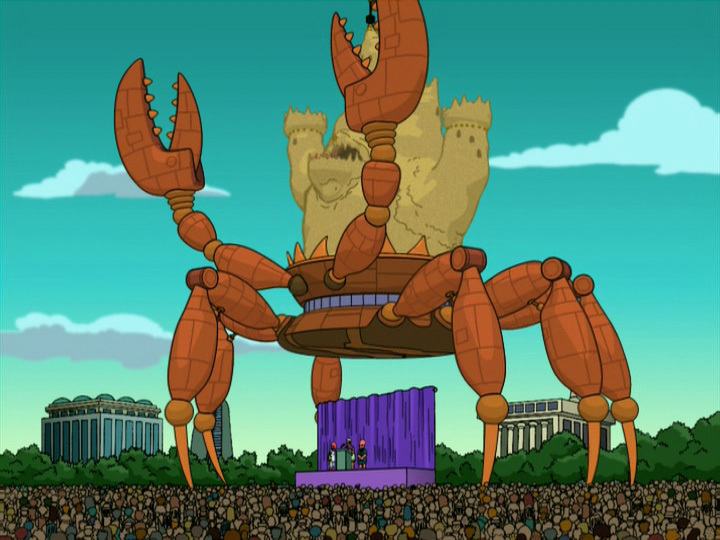 (artist rendition)The tank. You know the one. That one. Yes. Perhaps you've seen it around town, cruising to the nearest civil unrest with its best friend, the OPD Command Post. 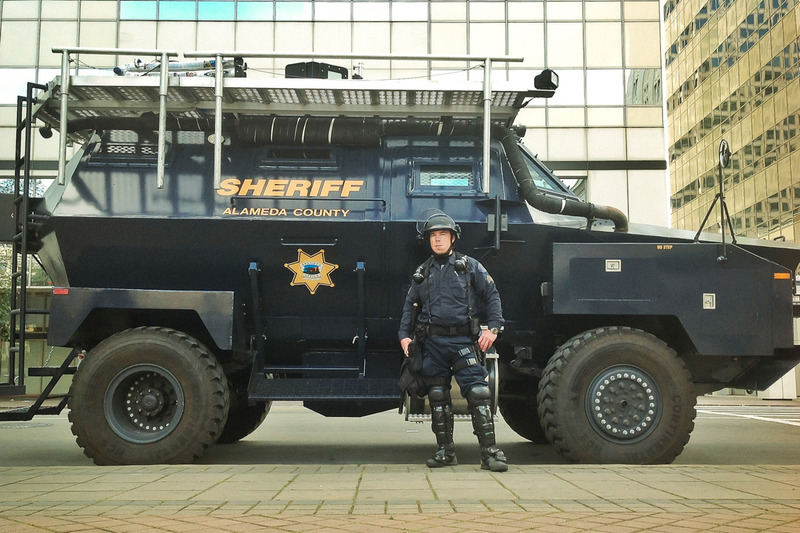 The tank is a 22-ton Grizzly APC (Armored Personnel Carrier) that belongs to the Alameda County Sheriff's Office. It's not to be confused with its smaller cousin, Oakland Police Department's Bearcat APC. Some observers initially thought the Grizzly belonged to OPD. Yogi Casino's blog later noted that "It’s a “Grizzly” APC, and it was deployed by the county sheriffs, not OPD. The Sheriffs Department purchased it from Blackwater in a special no-bid contract, with a $323,000 grant from the Department of Homeland Security." Technically, the Grizzly was purchased from Xe Services, LLC rather than Blackwater, but Xe was just the name that Blackwater (now known as Academi) used between 2009 and 2011.